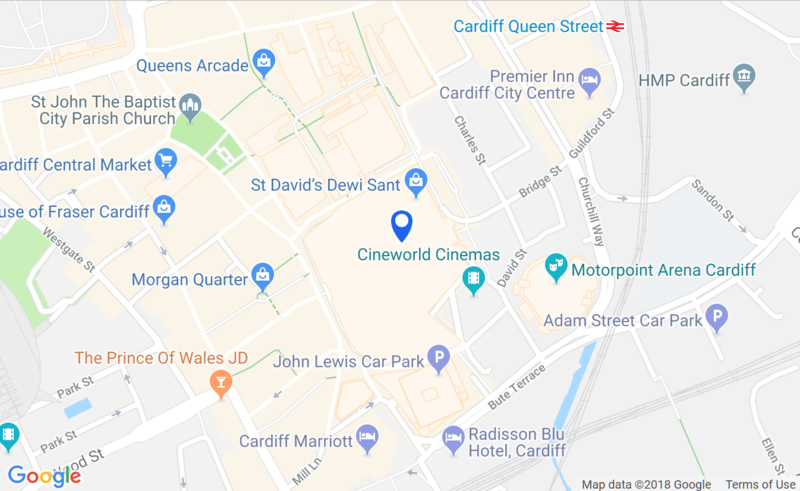 Situated right in the heart of Cardiff city centre, St David’s is a short walk from Cardiff Central and Queen Street Rail Stations. It’s easy to get here by car too with excellent links from the A470 and the M4. If you’re using a sat nav to get here, just pop in CF10 2EN and it will take you to the entrance of our multi storey car park, on Mary Ann Street, in between the Motorpoint Arena and Cineworld.